Fiberglass pool? It can handle the cold weather. Aqua Pools Online > About > Blog > Fiberglass pool? It can handle the cold weather. Comforting recipes for cold winter days, prepared on your Big Green EggPlanning a pool renovation? Add or replace an automatic cover. Winter is no longer coming. Winter is here. No, we’re not talking about Game of Thrones. We’re here to talk about your fiberglass pool in the cold weather. Cold temperatures are not a problem for fiberglass pools, so long as you properly care for them. But don’t worry, they really don’t require much care at all. Need convincing? There are thousands of fiberglass pools in Canada, scattered from one coast to the other. With properly winterized plumbing, Canadian pool owners are able to open these pools each summer with no issues. Our Illinois winters can be brutal. But if we’re honest with ourselves, they’re nothing compared to the cold, snow and ice our neighbors to the north deal with. So you can relax. Your fiberglass pool can handle winter temps and conditions with ease. Wondering WHY fiberglass pools are so dependable? It’s because fiberglass is a material that’s exceptionally suited to this application. It’s structurally strong – Unlike concrete or vinyl, fiberglass offers very little expansion and contraction with heat and cold. It’s chemically stable – Fiberglass doesn’t react with other substances, so it’s resistant to UV rays, pool cleaners, chlorine and other pool sanitizers, etc. It’s very strong – The material has a high strength-to-weight ratio, so it’s resistant to damage. It’s very flexible – Compared to other pool materials, it’s incredibly flexible. So while the soil around the pool moves as it freezes and thaws, a fiberglass pool handles the pressure with ease. 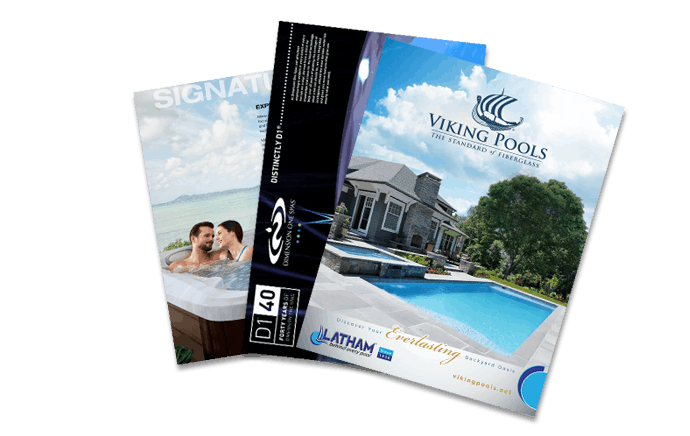 We’re proud to carry Viking fiberglass pools. Viking has been producing one-piece fiberglass pools for more than 30 years, and is the largest fiberglass pool manufacturer in the world – and we’ve been installing fiberglass pools in the Chicago area since 1978. So no more worrying, OK? 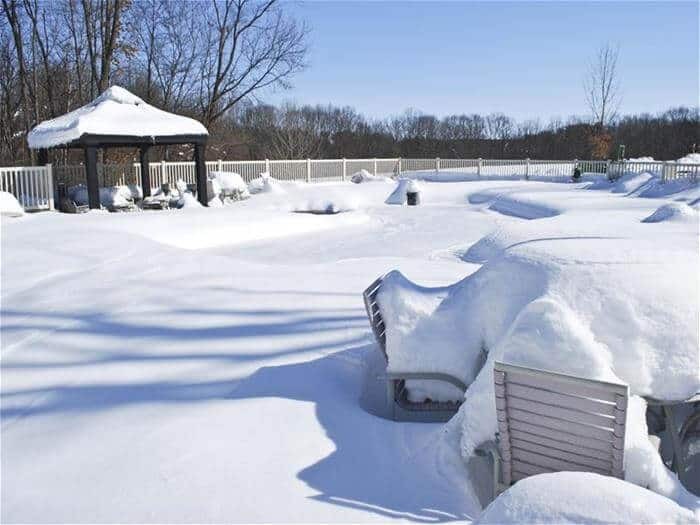 Your fiberglass pool can handle the cold weather like a champ.